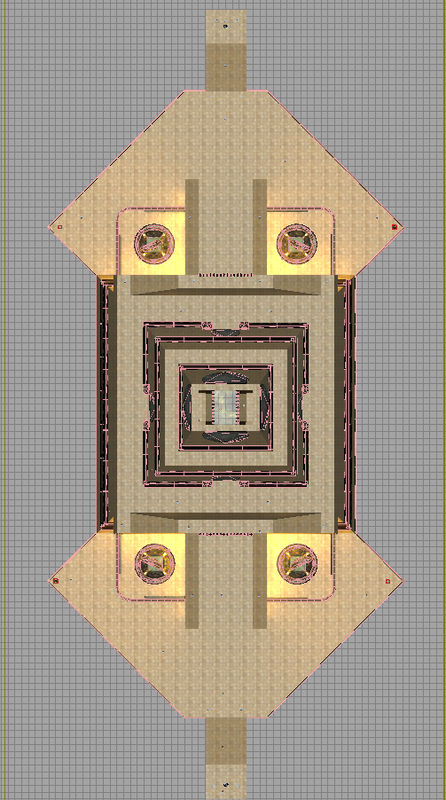 My main goal for this map was to create a symmetrical battle arena for the Capture the Flag game type. Since I didn't want vehicles to be present in the level, I focused on making this a smaller level that would deliver speedy play. 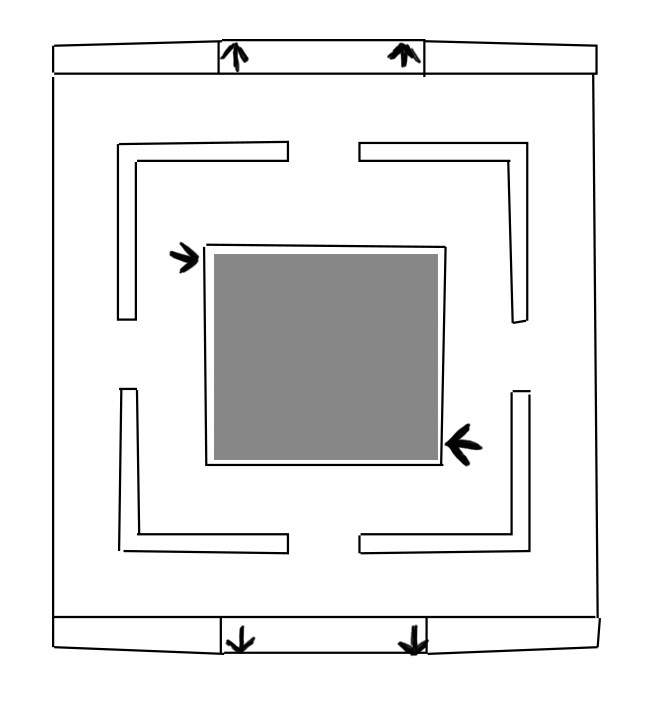 The map consists of two separate floors that can be easily moved between thanks to the ramps present on both the interior and exterior of the pyramid. 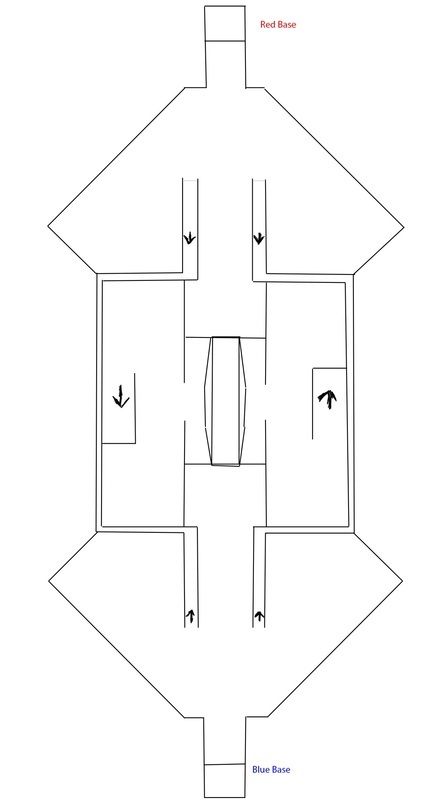 Having these two floors will allow players to have a clear choice when deciding upon the ideal route to get to their opponent's flag. All art assets were created by and are copyright of Epic Games. 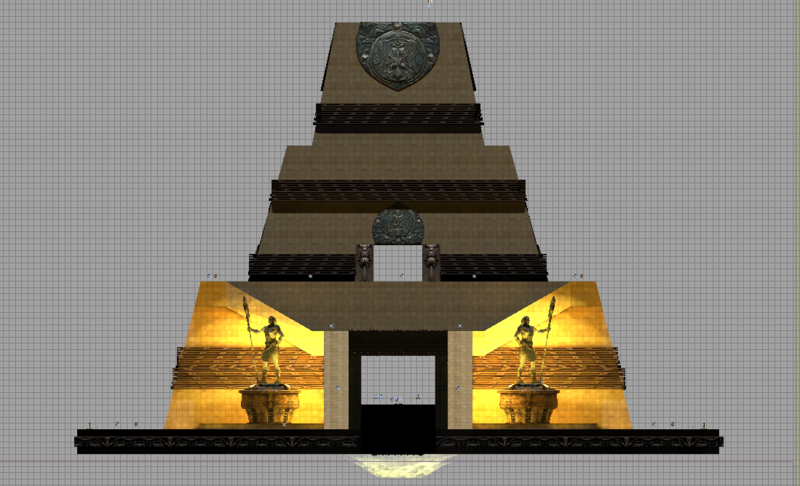 Triangulation UDK Flythrough from Max Alvarez on Vimeo.